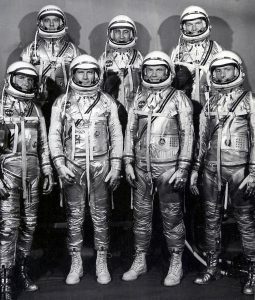 Many people my age remember when, in April of 1959, we met our country’s first “spacemen,” the Mercury 7 Astronauts. They would be the first Americans to fly in space: instant heroes! Few know that there were women pilots who also underwent the testing to become Astronauts in those early days. Dr. Randy Lovelace had helped design and carry out medical exams on the thirty-two male Project Mercury candidates, and he wondered if women could also fare well in space. He and U.S. Air Force General Donald Flickinger, who served on the NASA Life Sciences Committee, could not get NASA interested in the study, so they began a study of their own. They invited a well-known woman pilot of the day, Jerrie Cobb, to undergo the same tests as the men. When she passed the Phase 1 tests with flying colors, they reviewed the records of several hundred women pilots who each had more than 1000 hours of flight time. Nineteen potential candidates were found and began undergoing tests at the Lovelace Clinic. Ultimately, thirteen passed. Jerrie Cobb dubbed them the First Lady Astronaut Trainees (or FLATS), but the name that stuck was the Mercury 13. 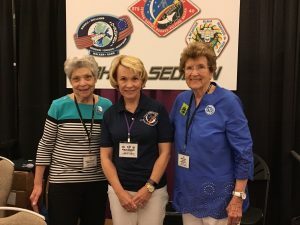 When they proved they could pass the initial testing—in some aspects better than the men—they began to lobby the White House and Congress to consider including women in the Astronaut Corps…but to no avail. In 1962, Vice President Lyndon B. Johnson put an end to the discussion—and their dreams. On 6/16/63, Cosmonaut Valentina Tereshkova made a short space flight on a Russian rocket, proving that women could at least survive. She was a factory worker who had no piloting background and was, for the most part, a passenger, but it was a first for women in space. The space program and history moved on. It was not until the late 1960s that the Women’s Liberation movement began to fight for equal rights for women. I witnessed the early marches as a student at the University of California at Berkeley in 1968. With the development of the Space Shuttle in the 1970s, women could argue that not all the Astronauts on those missions had to be pilots, and in 1977, NASA, for the first time, encouraged qualified women scientists and engineers to apply. In 1978, six women (including me) became members of a class of thirty-five new Astronauts. In 1983, Sally Ride became the first American woman to fly in space (twenty years and two days after Tereshkova). Not until 1995, after the military finally opened its jet flight programs and test pilot school to women, did Eileen Collins became the first woman to serve as pilot aboard the Shuttle, and in 1999 was the first female Shuttle commander. The surviving Mercury 13 attended her launch. It was a long road, but one started by those amazing women in the early 1960s. Women Astronauts owe a debt of gratitude to the women who fought so hard for us so many years ago. I have met some of these heroic women over the years. They have gone on to successful careers—many in aviation fields. I know the Mercury 13 led the way for us. 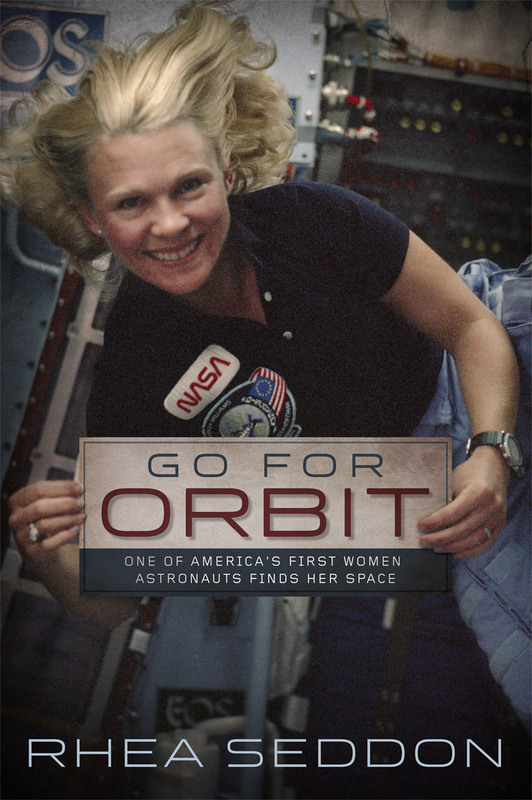 More than 70 women have flown in space up until now, proving that there is indeed a place in space for us. Thanks for writing about the Mercury 13. Did you see the new documentary “Mercury 13” on Netflix? It’s excellent! I have read a about them before and seen other documentaries on the US Space program where part of it covered them, but nothing like this documentary. I learned some things I had never known before. Thanks for that story Rhea. I always enjoy reading your blogs. It is a shame none of the thirteen ever got to fly in space. They were obviously the cream of the crop for woman pilots. Looking forward to chatting with you again next week at Spacefest. Rhea, I send most of your emails to my four granddaughters, siblings, one of whom says she is going to go to Mars. Several years ago I sent Caraoline a copy of your book, autographed. She treasures that book, though she was too young to read it at the time, because she said Astronaut Sutton knows my name! I want them to know that women can do whatever they set their minds to do, though there will likely be obstacles. And I want you to know that you inspire these girls, 11 and 7 (two sets of twins). Thank you for sharing this inspiring part of history and for being an integral part of the ongoing accomplishments. Our debt of gratitude is enormous to women pioneers such as yourself in earning the right to own property, to vote and to literally reach for the stars. Thank you to the members of Mercury 13 and subsequent astronauts for your courage and vision of the future. We are forever grateful and in awe. Thanks for sharing this history about the Mercury 13. I had the honor to meet Myrtle Cagle and Wally Funk while working at NASA Glenn in Cleveland. It was really interesting to hear about their experiences. Wally Funk is going to give a presentation at the Women’s Air & Space Museum here in October that I’m looking forward to attending. I’m hoping to ask them to contact you as well about extending an invitation to you for a presentation and book signing!